We hope everyone had a wonderful holiday, and a very Happy New Year ringing in 2015! This month we are celebrating the 133rd birthday of none other than Virginia Woolf herself! Please check out our new exhibit in the foyer of E.J. 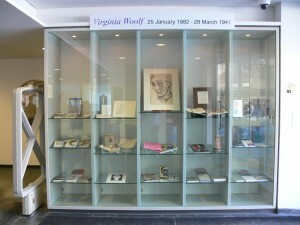 Pratt Library, which launched last Monday January 12th, 2015, entitled Virginia Woolf @ 133 : An Exhibition of New Acquisitions to Honour the Author’s Birthday. The exhibition runs until Monday February 9th, 2015.